Founded by 26-year-old Benjamin Russell as the Russell Manufacturing Company in Alexander City, AL. The tiny factory had 10 sewing machines and 8 knitting machines. Ben Russell’s son came to his dad with a new idea for an all-cotton football jersey replacing the itchy wool uniforms. Creating what we know today as the Sweatshirt. 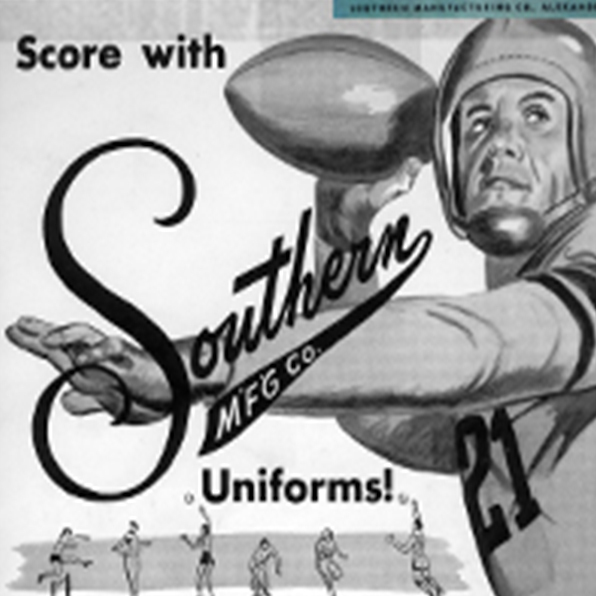 Russell acquired Southern Manufacturing Company, which gave access to athletic team apparel. 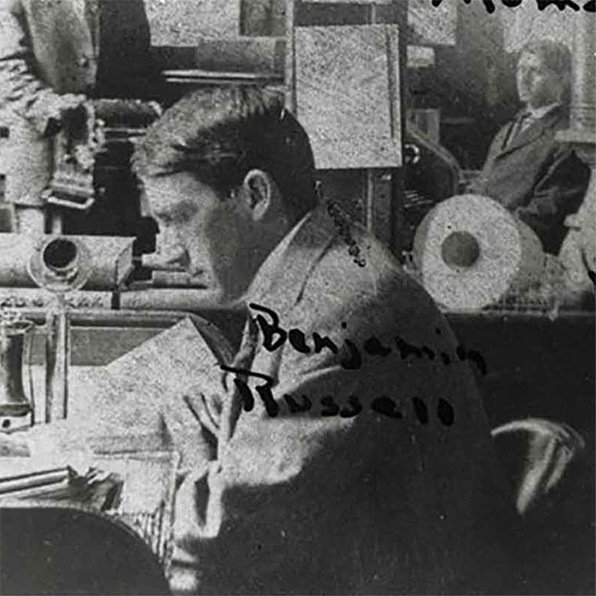 Russell began making woven athletic garments, including uniforms. Russell's Company had become the largest manufacturer of sports apparel. 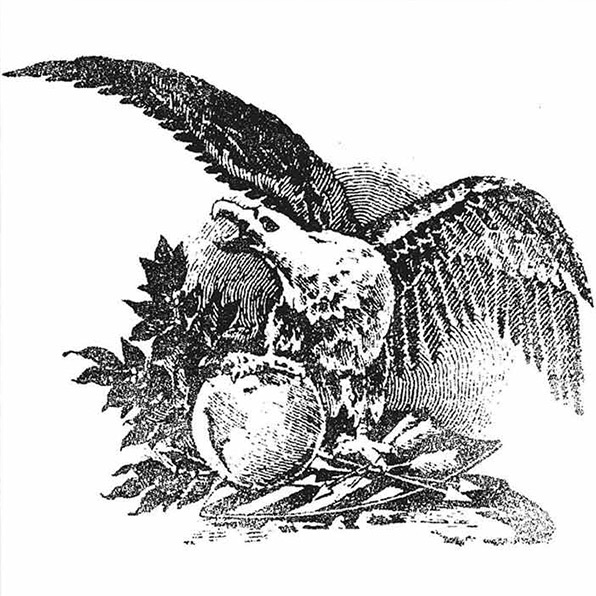 In 1962, the company became Russell Mills, Inc. and used the American Eagle as its brand image. It all started in Alex City, Alabama in May 1902 with 10 sewing machines, 8 knitting machines and a 26 year old man named Benjamin Russell. 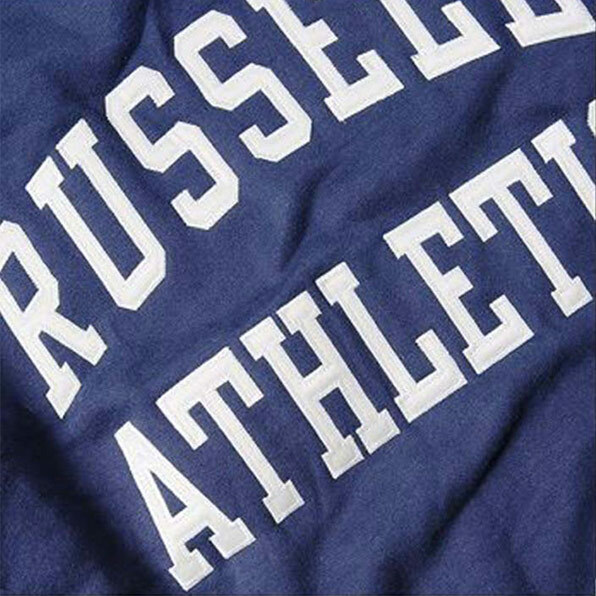 Over 115 years later, Russell Athletic remains firmly connected to our heritage. Born on the playing field. Sport is who we are. Our sportswear brings the soul of the field to today’s fields of play. Where competition, recreation and culture collide, you will find us. The Russell Athletic Heritage Collection is the new vintage you've been searching for. Each garment's foundation reflects a piece from original collections that Russell Athletic was founded on. The Heritage collection is made of the same rich colors, heavy stitching, and premium cotton that you can find in a classic thrift-store find. We’ve carefully chosen this line to include urban-functional styles so you can make a statement walking the streets, pursuing your creative hustle, or breaking a sweat in the gym. Layer up or dress down in our retro graphic tees, hoodies, shorts and joggers. Complete your outfit with a pair of your favorite sneakers or rugged boots. Each piece of vintage sportswear included in this line has a story to tell. Add a piece of history and culture to your closet by shopping our vintage streetwear for men and women.